Happy Halloween from Raphael Design! 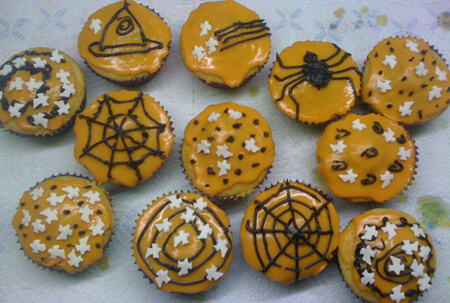 Hope you like the spooky cakes Dawn has made, complete with hand iced cobwebs and tiny sugar ghosts. Tasty, tasty, scary cakes!